The sockeye salmon run returning to the Stikine River near Petersburg and Wrangell was predicted to be good, but it’s turning out to be even better than expected. Wood River sockeye are pictured in this June 2016 photo. While the King salmon run for gill netters turned out to be worse than preseason estimates, the opposite holds true for sockeye. 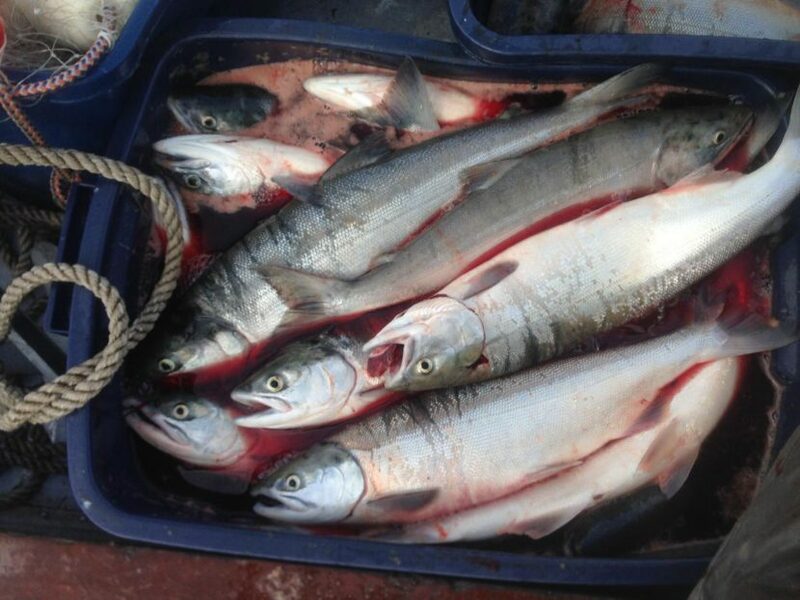 The state managed sockeye fishery began June 13. Biologists predicted a strong run but were cautious for the first few weeks to let more King salmon into the Stikine River. They limited openings to two days a week and prohibited fishing near the river’s opening. After most of the Stikine Kings passed, managers saw that the sockeye run was coming in strong. Troy Thynes is the Area Management biologist with the Alaska Department of Fish and Game based in Petersburg. The state predicted a run size of 223,000 sockeye. That’s well above the ten year average of 172,000. “I’m expecting it to be maybe 250,000 or greater,” Thynes said. That would make it the best sockeye return since the strong runs of 2005-06. The Tahltan is a tributary of the Stikine River and a major spawning area for sockeye. A weir project at the Tahltan Lake counts sockeye coming in and shows numbers now that are way above average. Managers were expecting at least a good return because of the counting projects at the Tahltan Lake. Besides a weir that counts arriving salmon, there is a weir which counts smolt heading out of the lake to become adult fish elsewhere. There is also an enhancement project at the lake where eggs are collected, grown at a nearby hatchery and then released back into the lake as fry. Thynes says that the Tahltan sockeye historically make up close to half of the overall Stikine run. “And based on our catches this year, both the Canadian catches in river and gill net catches in District 8, it certainly appears that the Tahltan component of the run is going to be even stronger than what was forecast,” he said. Because numbers were looking so good this season, managers liberalized commercial openings and allowed for five days of fishing per week. There were as many as 130 boats fishing in Districts 6 and 8, more than in recent years. Their harvests are estimated to be about 120,000. Stikine sockeye are shared equally between the U.S. and Canada because the river runs through both countries. It’s part of the Pacific Salmon Treaty. Canada has taken about 69,000 sockeye and U.S. fishermen 66,000. “Very good harvests for both countries,” Thynes said. The size of individual sockeye has been about average this year. Gill netters have been getting about $1.35 a pound from local processors. Now that it’s the tail end of the sockeye season, local managers will soon be turning their attention to the pink salmon fishery, the largest salmon fishery in Southeast. The Wrangell-Petersburg area will transition towards Pink salmon directed management August 1.